We still have a few spaces left for our Violet Craft workshops and trunk show! See the link here to register! We welcome anyone from the quilting community to join us! 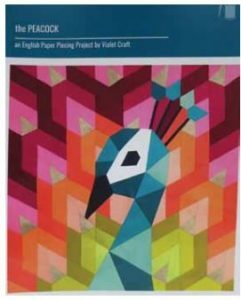 Violet Craft is a paper piecing guru, in both English Paper Piecing and Foundation Paper Piecing, so if you have ever wanted to give these a try, but didn’t know where to start, we have the answer. Violet doesn’t travel very much, so we are very lucky to have her come and visit us. Be sure to take advantage! The National Quilt Museum in Paducah, Kentucky, USA invites YOU to enter the 26th Annual New Quilts from an Old Favorite competition. The 2019 competition is open to quilts that are innovative interpretations of Oak Leaf & Reel patterns. This is an excellent opportunity to share your work with people across the country. 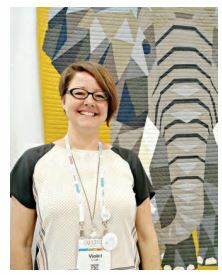 The quilts selected as finalists receive awards and make up a traveling exhibition. The exhibit opens at The National Quilt Museum and then travels to other museums and venues.